Johnathan Agnes CEO, Simon Hutson CCO and IGD awards host Gabby Logan along with Rada R. EVP of Mindtree. Radha R, Executive Vice President and Industry Head – Retail, CPG and Manufacturing, Mindtree, said: “Constant Commerce’s platform stood out for the judges because it has the ability to really drive change in ecommerce. It’s been developed based on strong shopper and customer insight and its execution has been absolutely first class. “Thanks to its straightforward interface, transferable content and great technology, Constant Commerce ticks the boxes for shoppers, retailers and manufacturers, creating a smooth and seamless experience all around. Constant Commerce is a startup that makes content, ads and apps shoppable at the world’s biggest supermarkets and mainstream retailers, is today celebrating winning IGD’s e-commerce award. 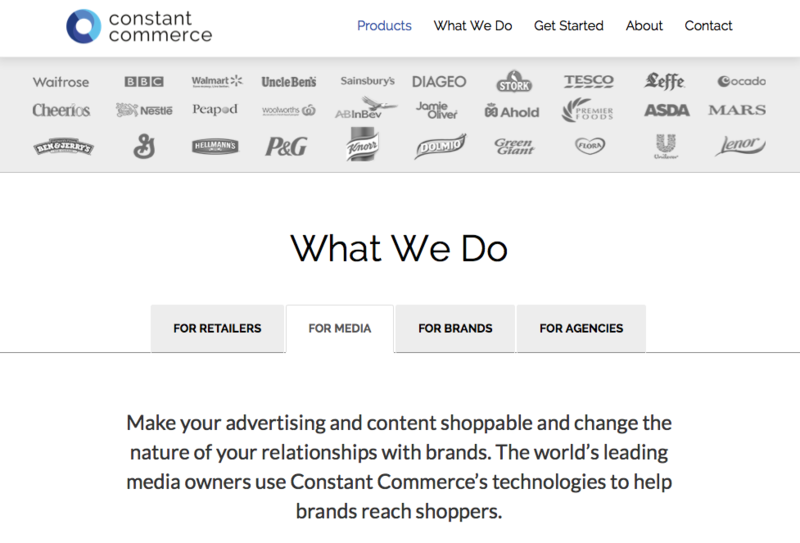 Presented at the 2014 awards ceremony in London last night, Constant Commerce won the award for their platform which connects food, beauty, parenting and health content at major media outlets and on social media platforms to retailers’ ecommerce and loyalty solutions. Constant Commerce’s innovative technologies were identified as ‘the online sales platform that has most significantly improved customers’ shopping experience’ by the judges, helping the company claim the top spot in the e-commerce category. Although Constant Commerce was founded less than three years ago, it has rapidly grown to become the world’s number one distributed commerce platform, with more than 20 well-known retailers, consumer packaged good manufacturers and media companies using its tools to create ecommerce, data and shopper-engagement partnerships. Constant Commerce manages distributed commerce solutions for 10 of the world’s biggest retailers, letting them embed mini-shopping experiences in websites, apps, ads and social media. Brands and publishers can use the tools to push the products that are featured in their advertising and content to shoppers’ online baskets. The platform can also push promotions and offers to individual shopper’s phones via its retail partner’s apps. Shoppers can then shop the offers in-store to earn rewards, loyalty points or cash back. The technology works behind the scenes – shoppers are never aware of Constant Commerce’s technologies, they just enjoy a seamless transition from their favorite websites and apps to shopper interfaces that are run on behalf of their favorite retailers. The technology is especially powerful when embedded in advertising – Constant Commerce powered advertising is personalised whenever it’s served to the millions of shoppers that have interacted with the platform to date, showing pricing and availability for the shoppers’ preferred retailer and letting them add product to their online basket or to the list in their phone, according to the way they’ve shopped in the past. This personalisation is the main factor behind the advertisings exceptionally high performance against benchmarks. The company, founded by Johnathan Agnes, has seen rapid growth recently and counts the biggest US, Australian and UK supermarkets among its customers, as well as several major global brands and publishers. Its Chairman is global brand strategist Matthew Freud and it has the backing of a team of high-profile technology entrepreneurs including Hercules Fisherman Co-founder- investor, Innovation Lead was founding CTO of Fizzback, Russell Buckley, who now advises the UK Government on inward investment in technology startups, Betfair founder Andrew Black and joined also by Fizzback founding CEO Rob Keve. One of UKs best example of how startups can work well, having an stellar success in a short time, made possible by having the best of Biz and Devs working cohesively under one roof, building world class products. 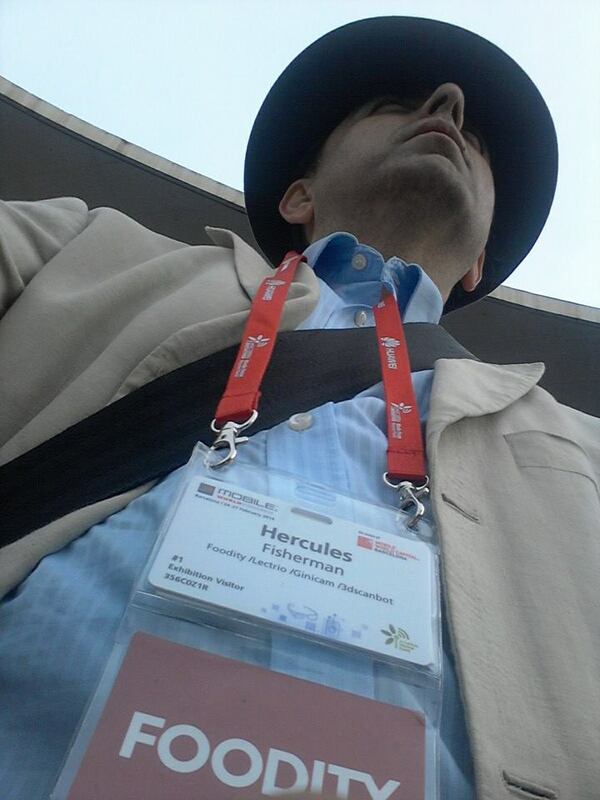 Hercules Fisherman will be speaking at the Websummit 2014 early next month, he is a resident mentor at Bathtub2Boardroom in the city and works with a number of other accelerators such as Axel Springer Pnp and Founders Institute groups internationally. SIGNS OF DEXTERITY is a gathering of international creators, focused on qualitative illustrations, drawings, paintings and photography. From tight design to obscure surrealism, including traditional comic illustration, digital collage and many other innovative combinations. One line: Dexterity! Dexterity will be affordable, all original artworks will be exhibited among their respective reproductions. Silk screenings, engravings, photography, digital prints on canvas, fanzines, books and many other mediums. 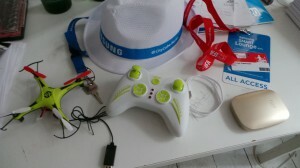 I just returned back from my latest visit to Berlin it was yet another mammoth expo, prehpas on a scale not as big as the MWC (Barcelona) but nevertheless significant and covered almost everything in electronics and home appliances. Most of the buzz was around curved displays, many of them with large 50+ inch screens and the colour quality quite magnificent, plenty to get engaged for game playing and home theaters. Although it the base screens probably all made by one manufacturer; then packaged and branded for different companies. I imagine the price also fluctuate between them likewise. 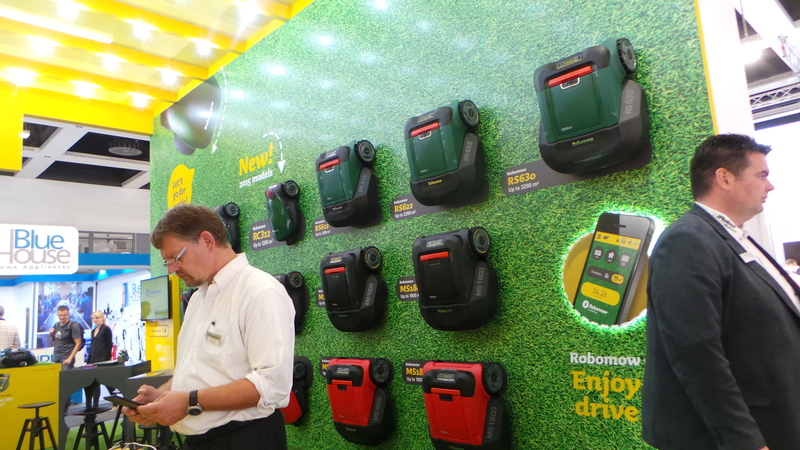 Further more you did sense that the second and third generation of robotic mowers and hoovers are becoming quite ever present, I must have come across 20+ stands who had robotic vacuum cleaners of different descriptions. Another hot areas are in home automation and remote controls. Gone are the days of hackers concocting arduino based zegbee contraptions for hackatons. The age of robotics finally has arrived. The robotics, sensors & home automation has gone main stream. This space is going to hot up over the next few years and there is much innovations to be done in this space to make these appliances more useful and accessible to all. Then there was the summit which was focused on future implications of the technology, discussions surrounded areas that are important to people in sustainability, ecology, economics, 3dprinting. That important take away from inspirational speech by Jeremy Rifkin was that we are increasingly becoming “prosumers” meaning we produce and consume our own creations. Thus in the future we would be intervening in the productions the level of customization will increase, there are already cars that are being 3dprinted allowing greater control over the output as ever before, it is no longer intervention in the types of trimming you want for your vehicle but also ability to modify its chassis or its internal structures like adjusting the seat design and shape so it would be the perfect fit for your physiology. The conference gave insights into the “connected future“ of High Tech, product development and design. Latest business models and break-through startups were presented in consideration of a changing consumer and media behaviour. Each session was introduced by national and international speakers and combined fascinating short talks by experts that have been followed by discussions to deepen consumers understanding. Newly launched fitness and nutrition app WatchFit has already assembled a formidably impressive team of sports scientists, fitness professionals, nutritionists, elite sports people, academics and health experts! WatchFit’s website and app is a one-stop-shop for the best exercise and nutrition plans as well as a vast library of features and articles that expands daily on broad topics of fitness, health, nutrition and wellbeing. All material is provided by leading international experts and professionals and designed to deliver the most comprehensive, interesting, effective and accessible subject matter. Leading TV nutritionist and best selling author Amanda Hamilton has been joined by the likes of: Joey Bull – a four times UK fitness champion, international trainer, author, DVD presenter, dancer and outdoor pursuit expert. Diane Youdale, remembered by millions as legendary TV Gladiator ‘Jet’, a fitness and dance professional, TV and radio presenter and practising psychotherapist. Dr Mark Bellamy, a Doctor of sports psychology and a human performance expert. Caroline Pearce, a former GB heptathlete and member of GB bobsled team, sports science graduate, author and regular TV presenter. Rebecca Romero MBE, one of the most remarkable sportswomen anywhere – a world champion and Olympic silver medallist in rowing, a world champion and Olympic gold medallist in cycling. Also an Ironman World Championship competitor. Kate Staples, former record breaking GB pole vaulter and TV Gladiator ‘Zodiac’ who now runs a successful boot camp business in the UK and overseas. Rubie Planson, multiple martial arts world champion, Extreme MA performer, film and TV stuntwoman. Julia Hubbard, world champion Masters athlete, fitness champion and owner of The Engine Room Gym. Jennifer Stoute, GB sprinter, Olympic medallist and director of Stellar Athletics sports agency. Shona Thomson, one of only 17 women worldwide to be a member of the Marathon Grand Slam Club for those who have completed marathons on all seven continents and also the North Pole. Celebrity chef and star of Australian and USA TV Pete Evans has just announced his partnership with WatchFit. The international spokesman for healthy eating and a fit and active lifestyle has already provided a tried, tested and proven Paleo Diet Plan and will be contributing further great results based material. WatchFit has even linked with leading long standing fitness magazine Ultra-FIT to publish a huge bank of archive features never before placed online. WatchFit creator and CEO Parisa Louie explained, “Our philosophy is simple. We want to provide the best possible platform for great experts right across the health and fitness spectrum. A perfect place for their written material, filmed footage, guidance and plans so they can reach the widest public and professional audience. And this material will be inspirational, motivating, engaging and proven to be effective. Our Contributors benefit from their own comprehensive mini website within WatchFit detailing their biographies, products and services”. She added, “The gamified nature, the accumulation of points and the information and experience sharing communities built into the plans also brings new levels of incentive, motivation and interaction to keep people focused on their plan and achieving great results. Joining the founder Parisa Louie who has an business MBA and experienced entrepreneur gained from two previous businesses under her belt are Hercules Fisherman as CTO is an award winning technologist, Johann Hansmann as Business Partner/ Lead Investor and Guy Holland as CCO, an entrepreneur, writer and Journalist in health and fitness. They form a formidable team with experience in Tech, Bizdev, strategy, marketing and social network with innovations that could save NHS from extra £5.6bn that annually it is forced to spend on mostly preventable illnesses related to bad diet and lack of exercise in UK alone. Public Health England has announced the ten finalists for its inaugural PHE Health X programme, which aims to identify new ideas for improving the nation’s health. It is fantastic news that Watchfit was selected along with other 10 shortlists as best innovative ideas in health and fitness form 138 strong entries from across Europe. + special evening reception with guest speakers on 30th July to mark the actual day of the 20th anniversary of the Fete. On Saturday 19th July 2014, be at the crossroads of Charlotte Road and Rivington Street, EC2 to face ‘A Fete Worse Than Death’. For one day, Rivington Street will be closed to mark the 20th anniversary of a landmark event kick starting an exhibition hosted by Red Gallery. The 20th anniversary exhibition of ‘A Fete Worse Than Death’ at Red Gallery will allow artists the chance to reclaim the area for a day whilst giving the public a rare opportunity to see and buy early artworks made by the YBAs before they were famous. There will be a painting by Gary Hume painted on a local warehouse wall for Joshua in 1994 as well as original memorabilia from the Fete & Factual Nonsense gallery – sold in aid of the Joshua Compston memorial fund and assisting in raising money for a memorial to be erected in Hoxton Square. 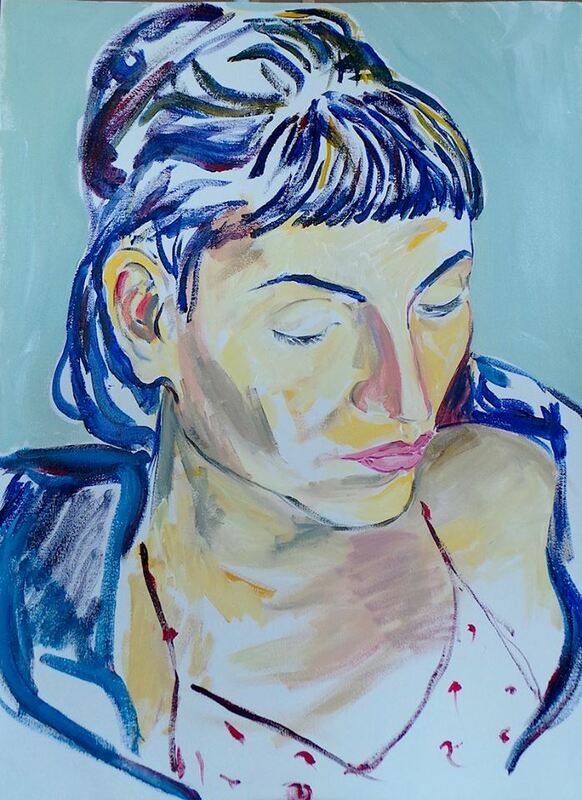 The exhibition will be curated by Darren Coffield (artist), Alice Herrick (artist and director of Herrick Gallery) and Sam Walker (artist and co-director at CHART gallery). Before the hipsters, before the boutiques, before the bars, in a then derelict part of the East End, Joshua Compston’s decision to open an art gallery on Charlotte Road and stage collaborative street events re-drew the artistic and cultural map of London and the contemporary art scene. For Joshua Compston (1970 – 1996), life was a special kind of nonsense: Factual Nonsense. Seen by some as the romantic martyr of his generation and by others, as a prankster, sending up the art establishment, Compston’s gallery ‘Factual Nonsense’ (FN) was quite unlike any other. Compston’s ‘A Fete Worse Than Death’, was an anarchic swipe at the notion of a traditional village fête staged in Hoxton in the summer of 1993, which brought 4000 visitors to an area most people never knew existed. Several artists, including Gavin Turk, Gillian Wearing, Mat Collishaw, Tracey Emin, Sarah Lucas and Gary Hume manned stalls selling art and provided entertainment, Damien Hirst and Angus Fairhurst dressed as clowns and produced the first spin paintings at the fete (on sale for £1). In 1994, at his second ‘A Fete Worse Than Death’, Compston encouraged ‘organised starry-eyed liberation’ of the art world ranks whilst allowing anyone the opportunity to experience ‘art of all denominations without the annoying handle of art around it’. The event featured performances by Gavin Turk’s ‘Killers and Cannibals’, Cerith Wyn Evans’ ‘People should beg God to stop’ and Leigh Bowery’s neo-punk band Minty. Interaction between Technology companies and Primary/Secondary schools – bringing technology into the forefront through talks, demos, HTML, CSS, Code Club, Stop Motion Animation, Construction of a Computer, Creating a Website, Q&A and much more…. It is a great pleasure to have some of the Tech City Roadshow startups taking part at the events during the London Technology Week with LNK and LTEXPO. Ginicam, Eventbrite and Evosite are teaming up with London & Partners to support London Technology Week to create an added dimension and feature London as a major global leisure technology centre. Meet the trade organisations that support your industry, ‘road test’ new technologies and hear the leaders of the leisure tech industry share their secrets. The event is being held in the landmark O2 arena in London, one of the 21st centuries biggest leisure developments. Speakers include Experience Economist Joseph Pine, Founders of Eventbrite Julia and Kevin Hartz with the Keynote address by Sir Eric Peacock of the UKTI. Listen online or download it. Tech City Roadshow (TCR) creates a platform of opportunity to encourage and promote the best and the brightest technology start-ups around, who are striving for recognition, financial help, mentoring and a route to success. TCR plans and organises fun, engaging and interactive events in the heart of towns and cities. We invite and encourage start-ups to participate and promote themselves by directly connecting with the mass public, who may ultimately be their prime consumer source. Our well connected associates and experts in the world of business and industry, will provide mentoring, guidance sessions and workshops to prepare the start-ups leading up to the events and in order for them to deliver their objectives successfully. Startups are pushed out of their comfort zones; in tech hubs and accelerators; into the fray in order to win validation where it really matters in the public arena. TCR events will be held in large and busy shopping centres up and down the country where they have massive footfall. TCR first event at Whitgift Shopping Center– Croydon on Thursday 29th of May where it enjoys footfall exceeding 65k per day. 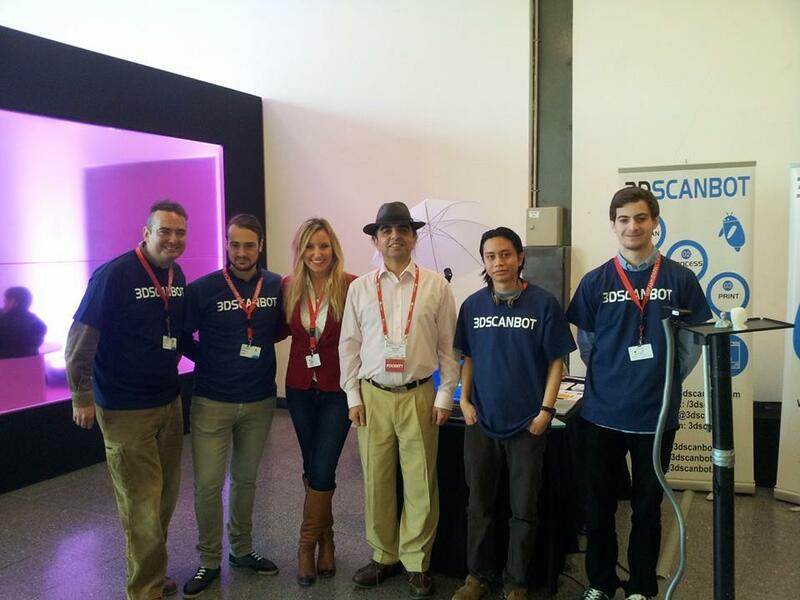 Just like last year at conferences , the Mobile World Congress 2014 could not miss the 3DScanbot experience. As before, we have been one of the most popular stands at Wipjam, offering a 3D printing experience for visitors of the congress and connecting them to the essence of the art and technology. One more time, the 3DScanbot has proven that it has something special to offer everyone. Our service has the potential to engage a broader audience in creating an experiential environment that is entertaining, innovative and widely applicable to real world problems. we received an increasing and diversifying number of visitors all through the show who relished the experience. The participants were amazed by our ability to capture them in 360 degrees and later create the 3D image of them optimised by our process in seconds. Our formula involves a 1 minute scan with our own designed rig, during which the subject must stay still . (This harks back to the bygone days of formal Victorian portrait photography!) . All this process ends up on the computer, where shots are then mapped and joined together using software to generate a 3d image of the body. We want to thank everyone for your interest and collaboration in our project and we hope to see you on Mobile World Congress next year. It has been a week long fest in Barcelona the event encompassed both old and the new fiera sites in Barcelona with something like 100k of visitors the biggest ever since its conception. We had number of friends and startup companies who came along with us SuperExpo, CrowdEmotion, as always Foodity and Ginicam where there too virtually. We setup camp at WIPJam, while our team in London and Barcelona coordinated all the plans and social events which took place across the town in Barcelona. We like to thank all the wonderful visiotrs to our stand and over the following days we will be following up on the leads and contacts. and we are getting more and inquiries for upcoming events and exhibition as we offer one of the best values for engagements across the board pretty much at every event we have participated so far. 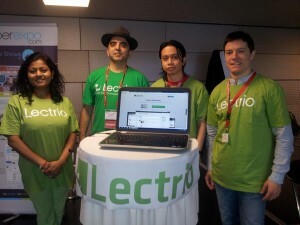 and we had Lectrio: the next generation online learning platform at the developers showcase demonstrating the simplicity and the fineness of the platform that has been in the making we are getting ready for our big public launch this year.